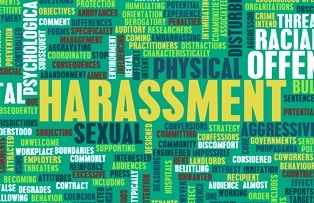 How Workplace Violence Affects a FL Workers Comp Claim | Johnson & Gilbert, P. A. According to the Occupational Safety and Health Administration (OSHA), workplace violence accounted for 15 percent of workplace deaths in 2015, and roughly two million workers suffer violence in the workplace every year. Since these attacks are usually intentional, victims may face problems collecting benefits through the no-fault workers’ compensation system, making it extremely difficult for them to pay their bills after an injury on the job. Unlike workers who are injured in a fall in the break room or struck by falling shipping cargo, employees attacked on the job aren't guaranteed to receive payments for their medical expenses and lost wages. Your employer didn't provide a safe workplace. Both employers and employees have a responsibility to make the workplace as safe as possible. While employee responsibility for workplace safety can include preventive measures such as wearing safety gear and following proper procedures, employers have a much broader range of responsibilities. For example, supervisors should avoid scheduling an employee to work alone late, take reports of violent threats seriously, and train employees on what to do in a potentially volatile situation. You were injured in the course of your employment. Workers’ compensation laws generally provide coverage for any injuries that occur in the normal course of employment. It doesn't matter if the person who injured you was a coworker, trespasser, criminal, or customer; if you were performing your normal work duties at the time of injury, you can file for workers’ compensation. You suffered retaliation as a result of the incident. It's illegal for an employer to demote, terminate, or otherwise retaliate against employees for exercising their rights—including claiming workers’ compensation or reporting unsafe working conditions. Whether or not you are owed workers’ compensation for a workplace injury will ultimately depend on the facts of your case. Contact Johnson & Gilbert, P.A. today by filling out the brief contact form on this page to explain your situation in detail and learn what steps to take next.